Bali spells magic and romance — all credit to its exotic palm-fringed beaches, friendly locals, stunning temples and fascinating decadence. The tropical paradise ranks high on every honeymooning couples’ list of destinations. Adding to Bali’s lure are the world-class resorts and hotels that know how to set the perfect mood for romance—we have our favourite ones listed out right here for you! This villa is a well-known place for newlyweds or couples to go for honeymoon. They provide indoor pools and jacuzzi where you can enjoy with your partner privately. The interior design is decorated with beautiful flowers to add on the romance! This is for couples who’re looking some quiet time and to relax peacefully. It has exotic beachfront villas, well-groomed gardens, and white sand beaches. D Chandrasti Bali Villas is an ideal host for those who prefer private pool villa Bali honeymoon. It is located at a walking distance from the beach, so you can witness mesmerizing views of the sunset over the shimmering waters of Batu Belig Beach. Resort W Bali offers every modern facility that caters to all your whims and fancies. You get to witness the signature ocean-view that is only available in W villas. The newly weds can take a romantic walk along the silvery shoreline, or even just chill around in the spacious private villas. This resort offers the most romantic views of the sunset! 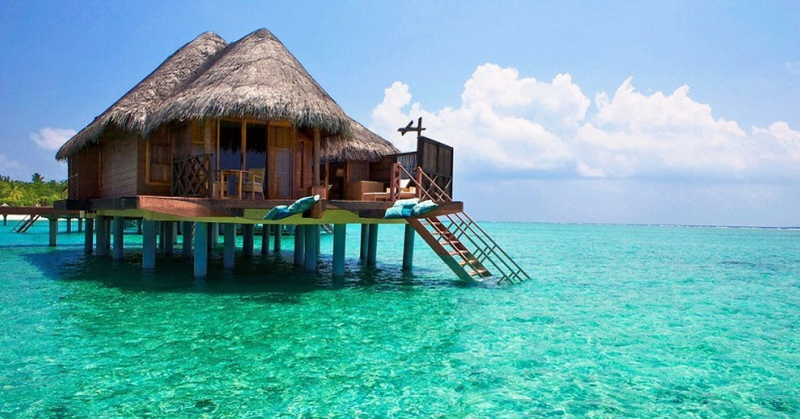 Perfect for a honeymoon right? The special thing about Anantara Uluwatu is the ocean-view penthouses, cliff-edge infinity pool, and a world-class rooftop restaurant. Are there better honeymoon villas you’ve stayed in, in Bali? Do share with us below!